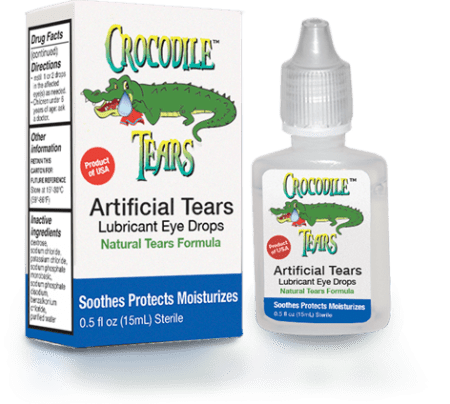 Developed by an accomplished eye surgeon with more than four decades of experience, Crocodile Tears dry eye lubrication provide real, soothing relief from dryness, irritation and discomfort. Eye Lubricant drops can help you in a number of ways, from having dry eyes and needing to re-wet them with artificial lubricant tears, to having redness of the whites of your eyes. While over-the-counter and medicinal drops are fine if you don’t wear contacts, having contacts in your eye means you need to choose the right type. Even if you use the drops before putting in your contacts, the solution can affect how well you see with the contacts in. Crocodile Tears are exceptional eye lubricant drops that will be safe and gentle on your eyes. If you are looking for a great dry eye lubrication, look no further! Get your crocodile tears today!